Simple and quick one step USB 3.0 upgrade for desktop PC. 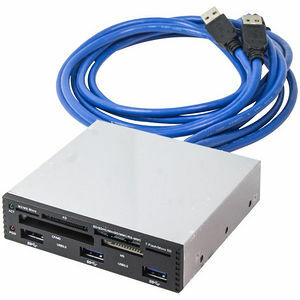 Add 3 SuperSpeed USB 3.0 ports to the front of your desktop case. Also comes with 6-slot card reader.